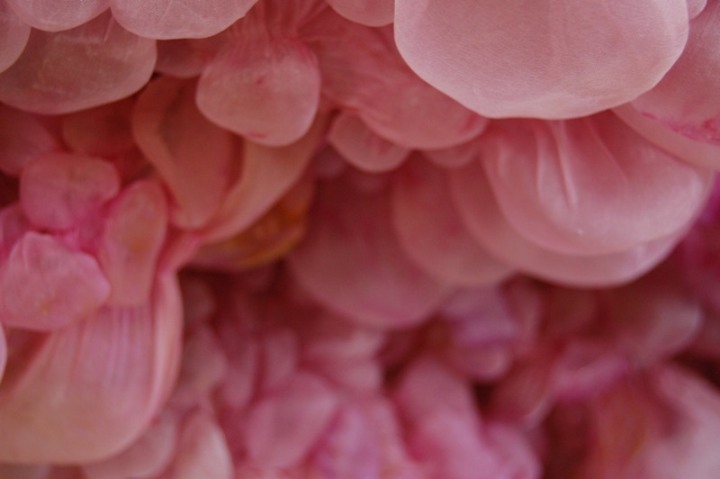 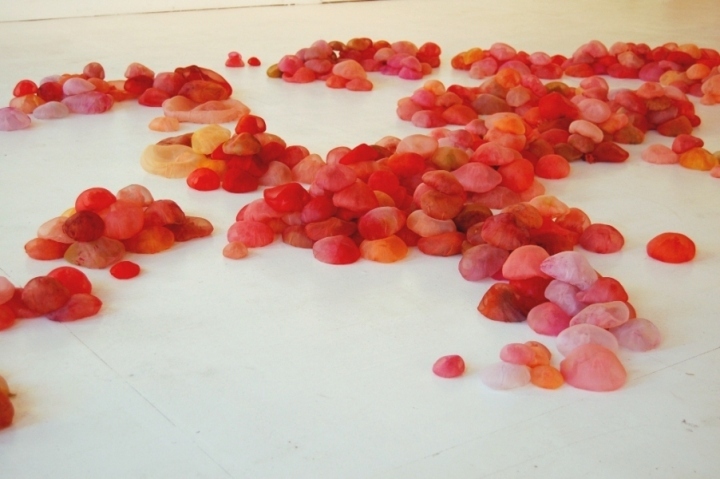 Lisa Kellner is an installation artist living and working in Virginia and Brooklyn, NY. 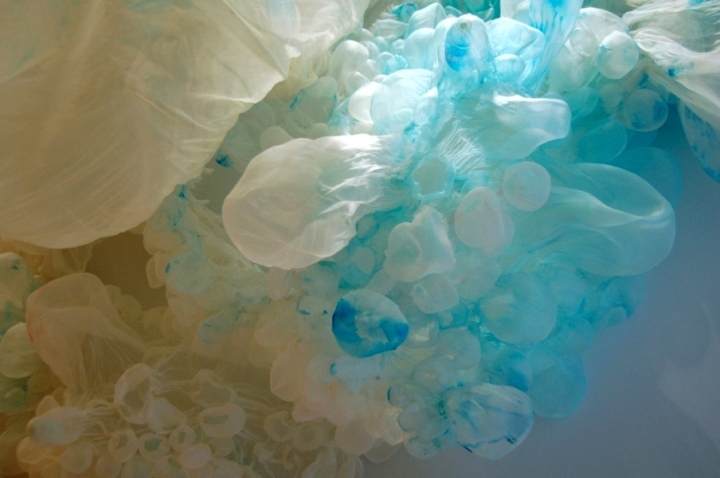 She makes large scale, temporary installations that combine intricate microcosms with huge topographies. 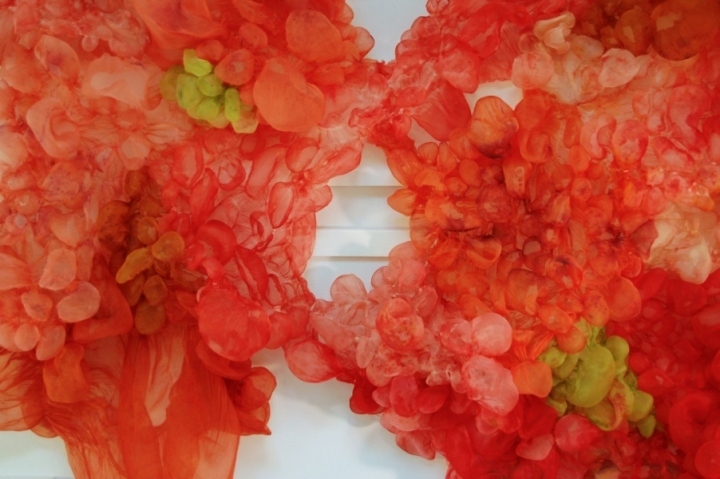 She paints and sews together thousands of organic, bulbous shapes out of silk organza creating a structure that operates both as a three dimensional painting in space and environmental sculpture. 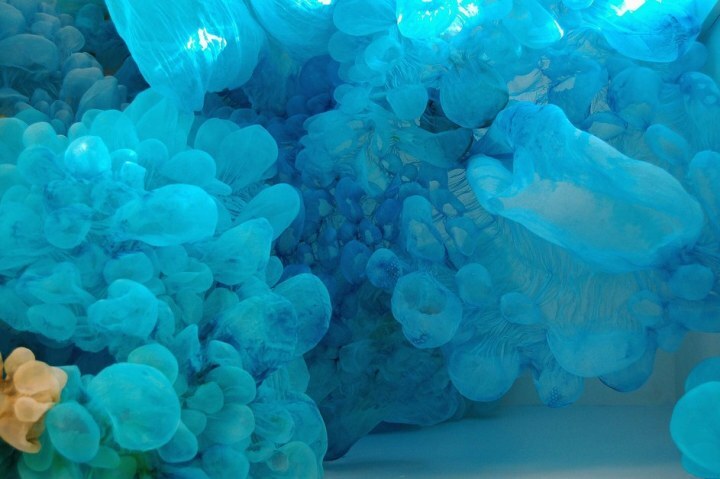 These works are not dyed. 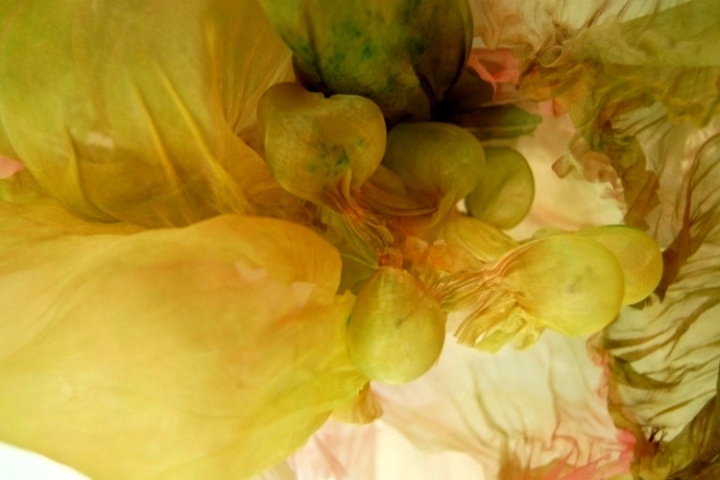 Rather, they go through a lengthy process in which raw pigment, ink, acrylic, bleach and compost are applied until the intended painterly effect is achieved.